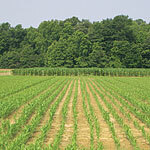 Agriculture and pristine natural resource areas accentuate our rural character. The crossroads community of Cecilton is nestled in a diverse agricultural region, of which, much of the land has been placed in agricultural preservation, ensuring its future rural character. Fields of grain, horse farms, nursery and greenhouse operations are significant agricultural industries that can be seen from the byway. 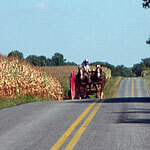 Hearkening back to times gone by, visitors may encounter horse and buggies on the road or see Amish farmers working the land with horse-drawn plows. and crannies to explore in Cecil County. 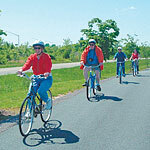 Birding, hiking, biking and other low-impact recreational activities can be found at Canal, Court House Point, Stemmers Run and Earleville Wildlife Management Areas, as well as at Grove Neck Wildlife Sanctuary. These rustic natural resource areas are known for long-legged waders, geese, and ducks, with extensive forest and upland areas that attract falcons, eagles, warblers and other bird species. 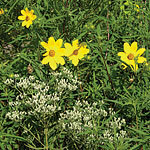 Chesapeake Farms is a demonstration area of which all 3,300 acres are devoted to the development and evaluation of advanced agricultural practices and wildlife manage-ment techniques that are designed to be environmentally sound, economically viable, and socially acceptable. A 16-stop, self-guided tour map directs the visitor to features of special interest. 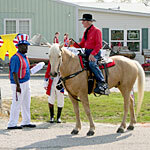 The farm is open to the public during daylight hours February 1 through October 10th. 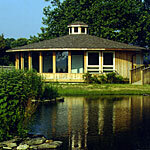 is a 500-acre preserve operated by the Wildfowl Trust of North America. Visitors can explore over 4 miles of wetland and woodland trails, collections of live waterfowl and non-releasable raptors, an aviary, and a visitors center. Rental canoes are available to explore surrounding water and wetlands. The center is open year round, 9 AM to 5 PM. Admission fee. vistas and unique opportunities to view wildlife in an environmentally-sensitive designed setting. Parking is available at the Terrapin Nature Park, Old Love Point Park, Castle Marina Road, Kent Narrows Boat Launch Ramp, the Chesapeake Exploration Center and the public lots beneath the Kent Narrows U.S. 50/301 Bridge. These lots are open daily from sunrise to sunset. locally in 1813. Fearing marauding British troops might capture the mine during the War of 1812, the mine was shut down. Today, Galena is a quaint crossroads community known for its streets lined with dogwood trees, it’s scrumptious community dinners, and as the “Antiques Capital” of Kent County. and villages. 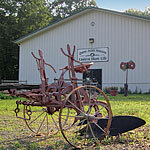 This rural heritage of Kent County is preserved and on display at the Kent Museum. This site includes a grave of a son of a Revolutionary War soldier and a Tockwogh Indian Village which was visited by Captain John Smith in 1608. The museum is open Saturdays, 12-3 and by appointment. 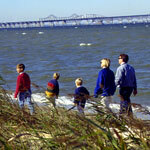 dedicated to preserving and promoting the heritage of Queen Anne’s County and the Eastern Shore region. 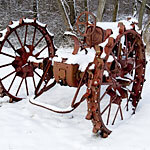 The collection includes, Native American artifacts, historic agricultural implements, collectible toy tractors, maritime tools, and various Americana displays. The museum is open Saturdays and Sundays, 1 PM to 4 PM April through October or by appointment. 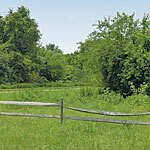 area, which adjoins Turner’s Creek, is 1000 acres of varied terrain including farmland, mature forests, sandy beaches, marsh lands and tidal ponds. The area abounds with wildlife making it ideal for outdoor enthusiasts to enjoy numerous recreational activities. Binoculars and hiking boots are a must! located along the trail provides a brief respite for the weary. The trail, which wanders over several ridges, across marshlands and through woodlands, features two observation blinds overlooking the tidal ponds. The trail connects to the County’s Cross Island Trail system. Off the beaten track but well worth the visit!